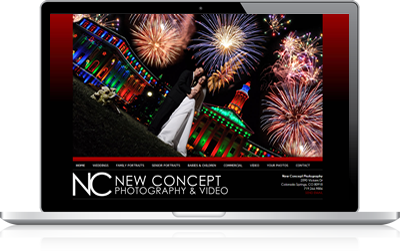 MSW Interactive Designs LLC makes it affordable to establish an effective, professional, and custom web presence for your business. Our design team has extensive experience in the development of websites, as well as professional graphic design and SEO (search engine optimzation). This means your website will have a professional and polished look and feel AND it will be designed with great search engine rankings in mind. Our simple per page rate structure puts you in full control of the design cost. As a small business ourselves, we know surprises are no fun. You will know all fees up front BEFORE we start working on your website. Your business is unique and we believe your website should be too. The fact is, generic website builders and "free" do-it-yourself website platforms end up costing you more in terms of time and lost sales due to their ineffectiveness. We don't believe in templated solutions because they limit your business to their "box" and most don't provide the level of control you need for effective SEO. Your site will be designed so it is responsive, meaning it will adjust automatically to accomodate a variety of screen sizes, from smart phone, to tablet, to desktop. In some cases, we may recommend a stand-alone mobile site to complement your responsive site. The need for this varies by business sector and depends on what information your mobile visitors will want to see versus your desktop visitors. We will discuss this with you to determine if it's recommended for your website audience. With our hosting service, we provide free basic updates to existing content on the site. This means you can have us post monthly or weekly specials, add new client testimonials, change out photos, all at no extra charge. Simply email them over to us, and we get it taken care of. While we guarantee a two-business day turn-around, our clients will tell you they are typically done the same business day they are received! We work with clients all over the country, so we have a very streamlined process that makes it easy regardless of your location. When you are ready to begin your website, one of our team members will speak with you to learn more about your business, your goals for your website, and outline the best page structure to meet those goals. This will set the cost for the design. We do require a 50% design deposit to begin work. The balance is due once the site is complete and launched. As we begin work, we will send a list of materials that we'll need to pull the design together. This typically includes an electronic version of your logo, photos you'd like to use on the site, plus text/copy for the various pages. Don't worry if you don't have great quality photos. If needed, we can use professional royalty-free images (no extra charge). We can also assist you with formulating the text for the website if you can simply provide detailed bullet points that outline your message and services. We start with the home page design to establish the overall look and feel of your website. Once that's ready, we send you a preview link so you can provide feedback. We will implement your feedback and have you review again. Once approved, we complete the secondary pages with that overall look and feel. You then review again. Once approved, we launch! If you don't already own your domain name (website address), we can register it for you. It is $13.95 for .com domain regsitration (we simply pass through this cost). Your domain will need to be renewed annually. If we register it for you, we will take care of that on your behalf each year and simply pass through the cost.